Founded in September 2013, Marsi Bionics is recognized as a high impact SME developing disruptive innovative therapies to the healthcare sector. 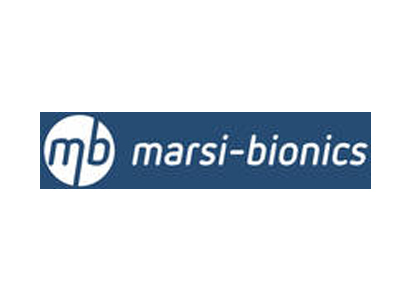 Marsi Bionics develops, produces and commercialises paediatric wearable exoskeletons, ranging from single joint active orthesis to full Trunk-Hip-Knee-Ankle-Foot active orthoses. Marsi Bionics’ exoskeletons make a difference in performance thanks to its patented controllable-stiffness actuation technology which personalize the gait therapy, adapting to each patient’s needs. This unique feature is what makes Marsi Bionics have a wider market application providing physical therapy to a number of neurological disorders featuring musculoskeletal complications. Marsi Bionics’ wearable exoskeletons constitute a technical aid to spatial mobility and also a gait rehabilitation device. Marsi Bionics commits to this experiment know-how on the development of exoskeletons, research potential for optimizing the product for the children needs, and market poenetration and establishment.